3Hcare is an initiative by a group of health care professionals to bridge gap between patient and healthcare services for an enriched experience. 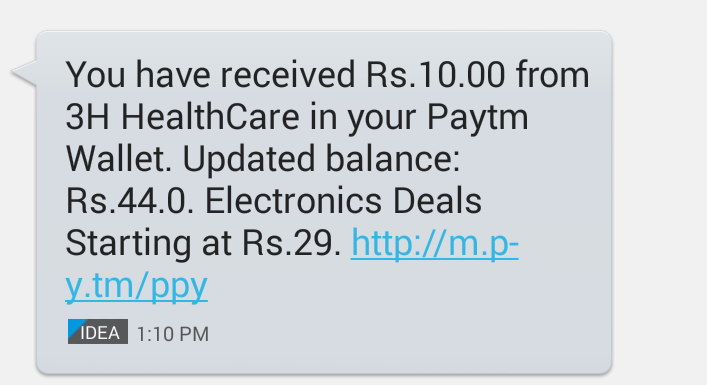 3hcare.in is offering Free Rs 10 Paytm Cash just for Registration, So Hurry up and avail this offer. 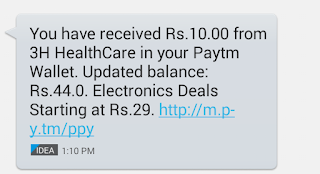 Just follow the Steps below to get Free Rs 10 cash in your Paytm wallet. 2) Register using the Register tab at the top right hand side of the website (Don't register by any facebook, gmail etc authentication). 3) After Registering, send mail with Subject Cashback to cashback@3hcare.in with your registered mail id. 4) After verification, Rs. 10 paytm Cash will be transferred to your Paytm account within 24 hours.